 Posted in Games, Talking, Uncategorized. :thumb118141481: Our dog Ozzy died to the other day by escaping into a neighbors yard where he was killed by another dog. Ozzy was loved by basically everyone and he loved them in kind. We don’t know the exact details of what happened as we were out for the day and thought he had merely ran away. Our neighbors informed us this morning. They had already taken to burying him. We’re pretty sure he accidental strangled himself while trying to get under a chainlink fence. I loved our dog and he will be missed. I think I’m okay now and have accepted it, but it’s going to be impossible to ever forget him. He is in the heavens now with god, Barong, fighting against evil. Just finished a class project today for Digital Media. Besides a logo for my self, it’s the first thing I’ve done. I find it rather artistically pleasing, though the brush stroke faerie figure could have certainly been better. 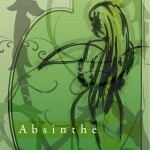 The project simply involved having to make a poster relating to Absinthe. It is likely that my professor is an alcoholic. Posted in Art. Tagged School Work.